biáoámatháeámaátiácian [bi ? mth?m? 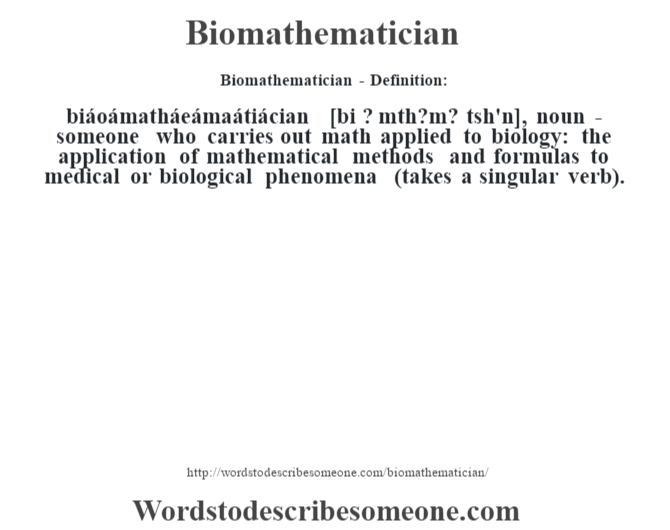 tsh’n], noun – someone who carries out math applied to biology: the application of mathematical methods and formulas to medical or biological phenomena (takes a singular verb).